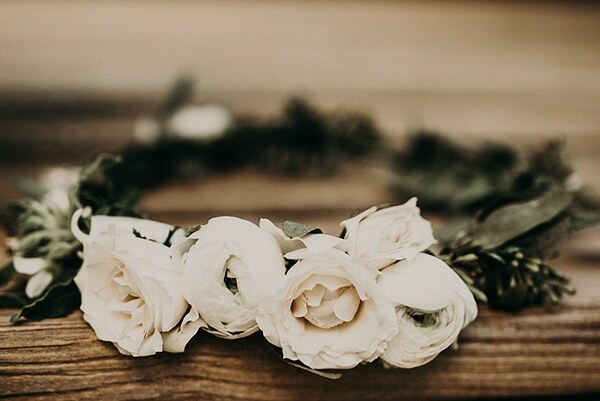 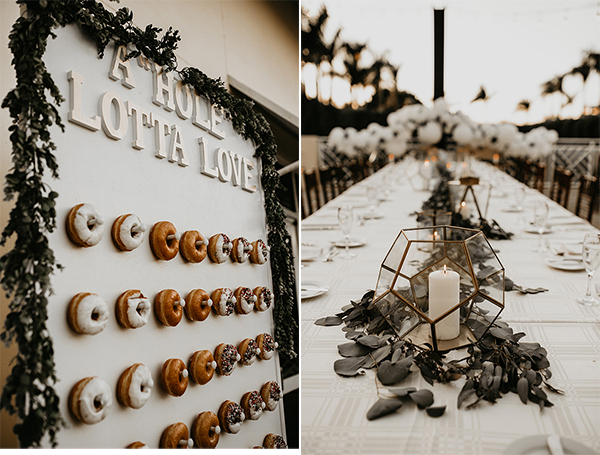 The boho wedding we are sharing today has mesmerized us with all its prettiness and loveliness! 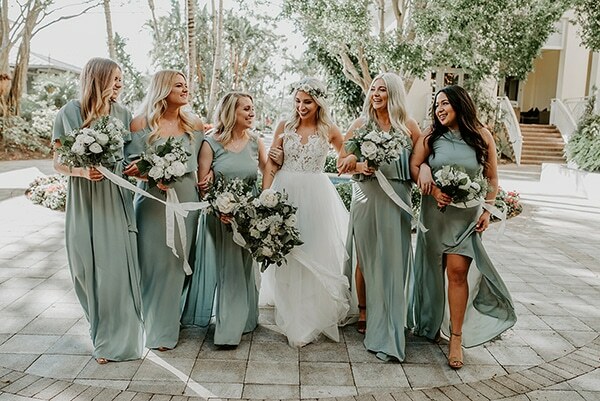 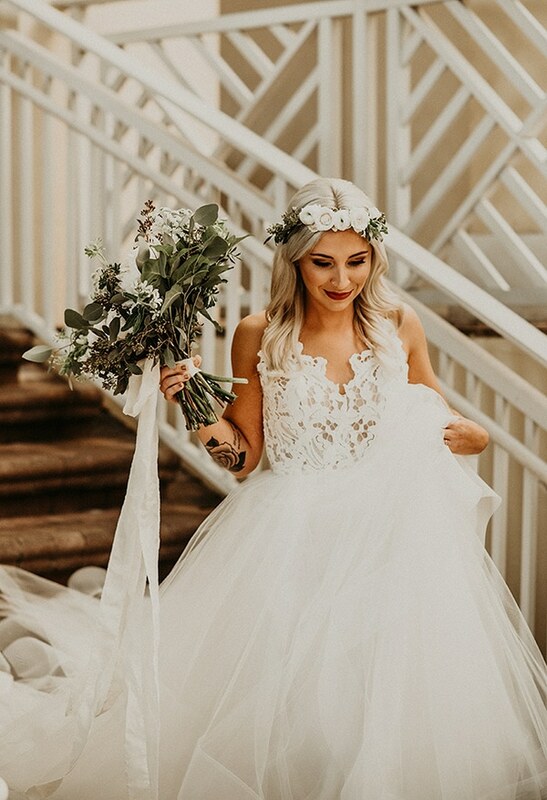 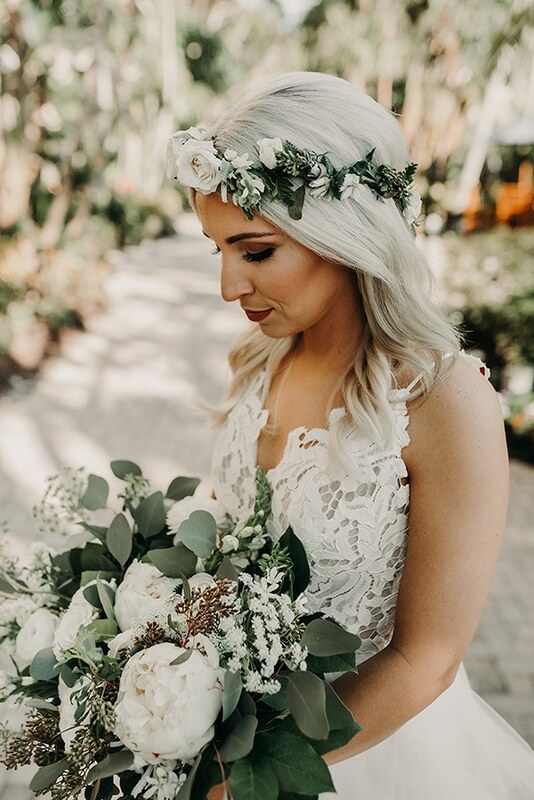 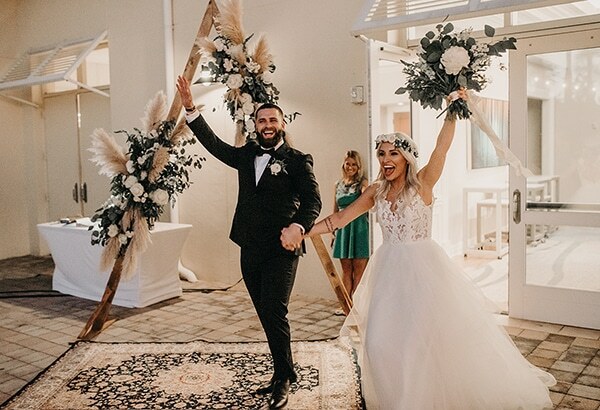 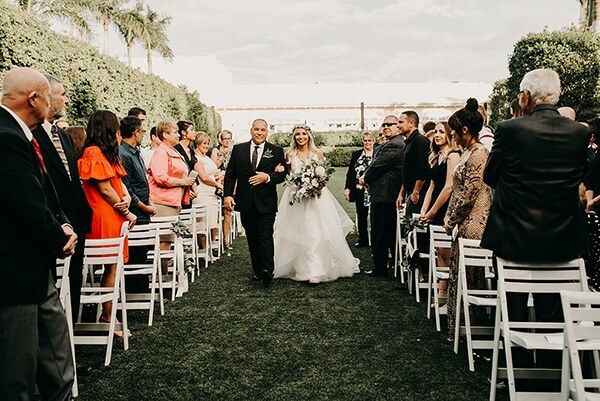 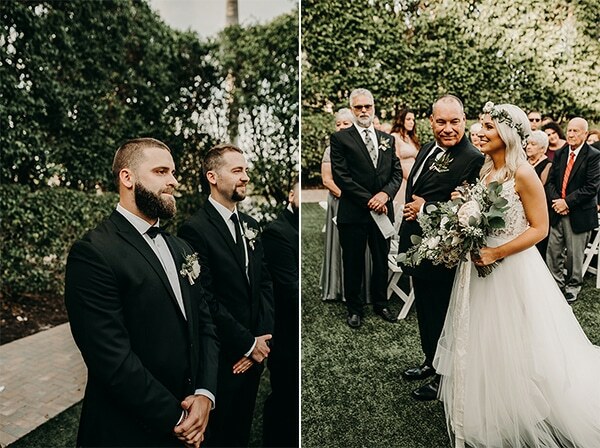 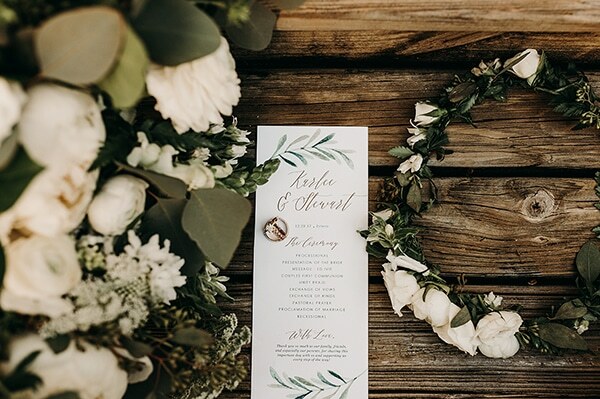 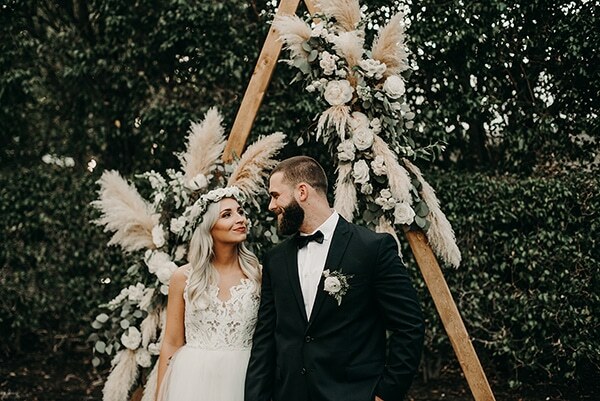 Choosing timeless white and green for the decoration, the couple designed a boho yet trendy wedding with beautiful details! 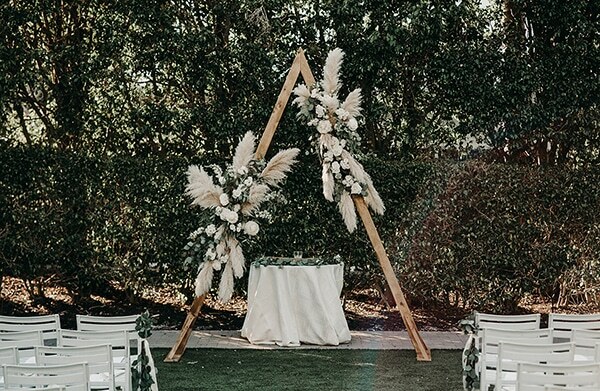 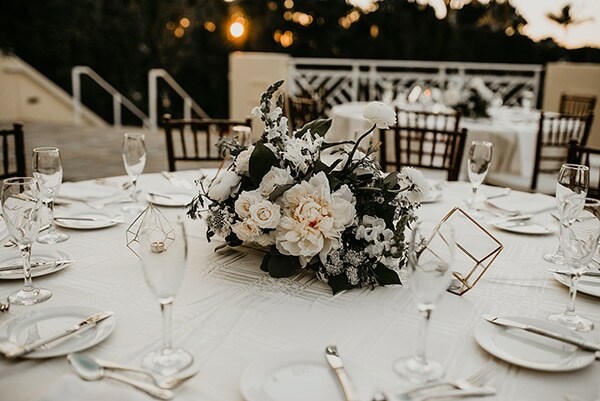 We are loving the gorgeous arch with white flowers and greenery that served as a backdrop during the ceremony and the gold geometric details on the table setting! 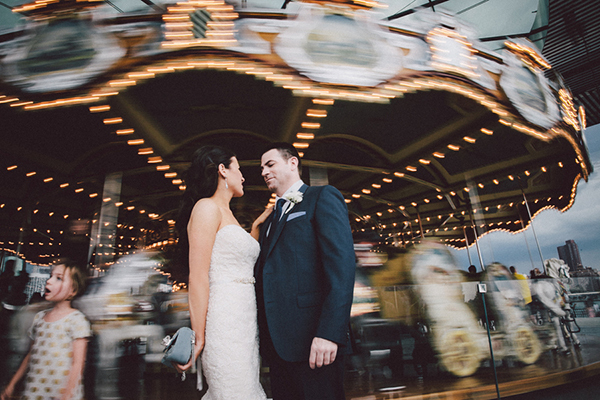 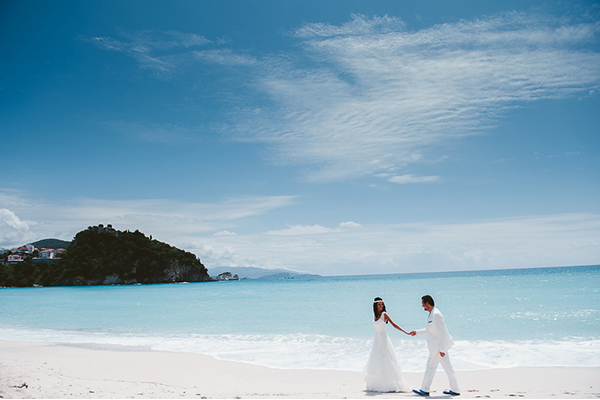 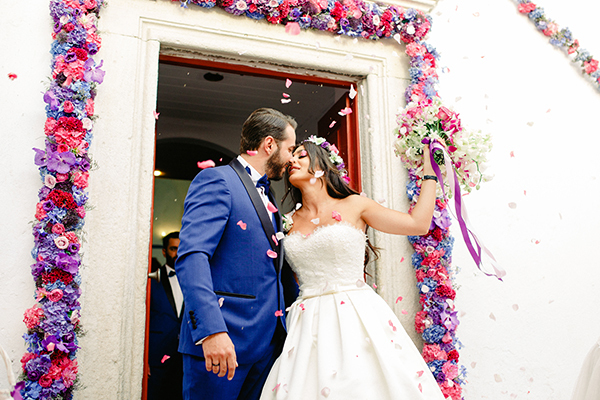 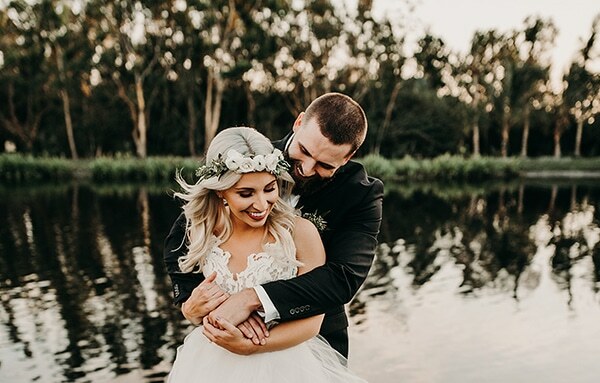 Have a look at this beautiful wedding and you will be smitten! 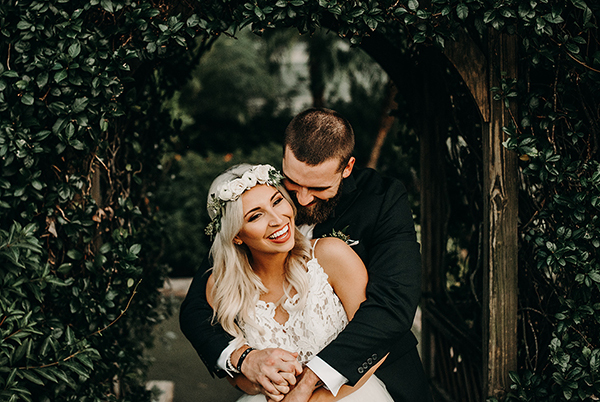 “It all started by joining a crossfit gym, where my best friend had always mentioned this one cross fit coach at the gym who she wanted to set me up with. 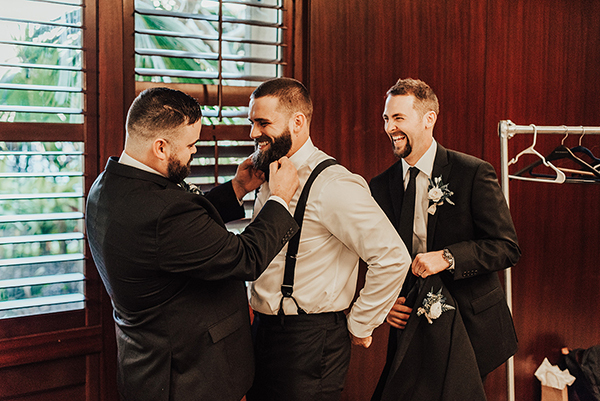 And that’s where I met Stew! 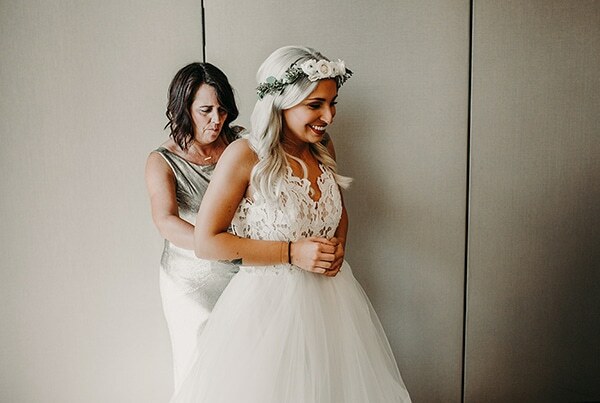 Not long after, we went our first date at a Starbucks and the rest was history! 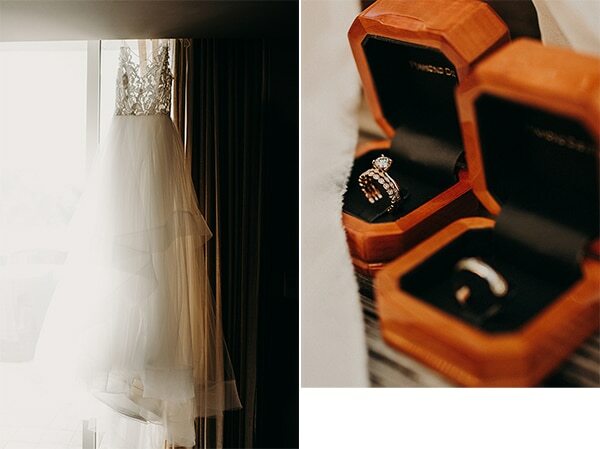 Everything happened so seamlessly which made the “get to know you” stage the absolute best!”, the bride shared with us. 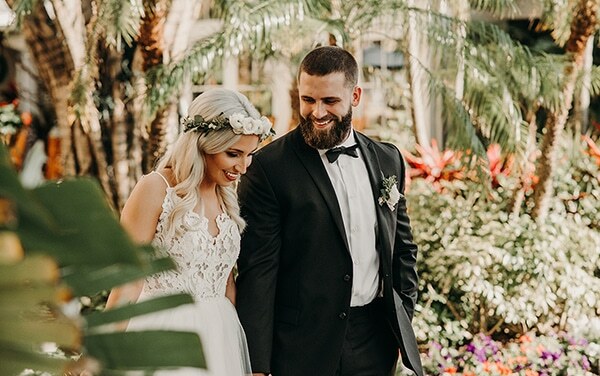 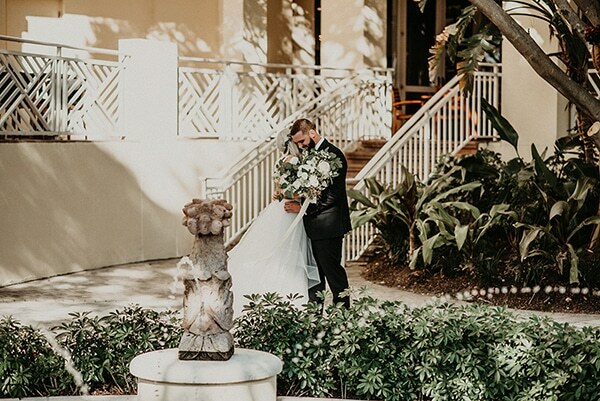 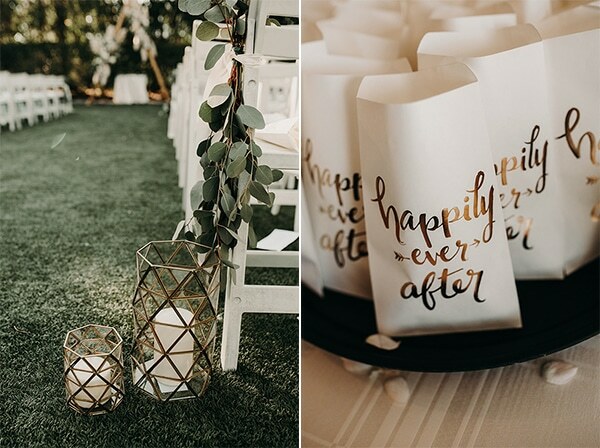 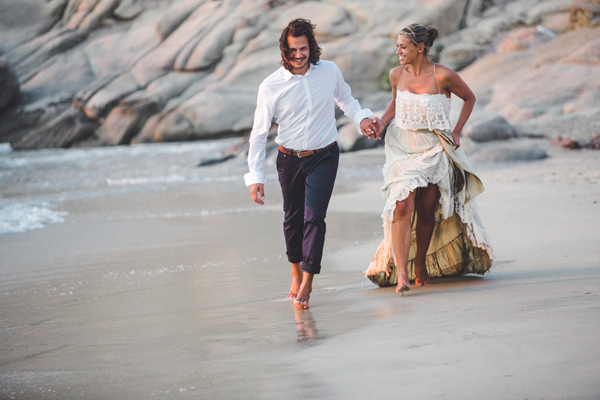 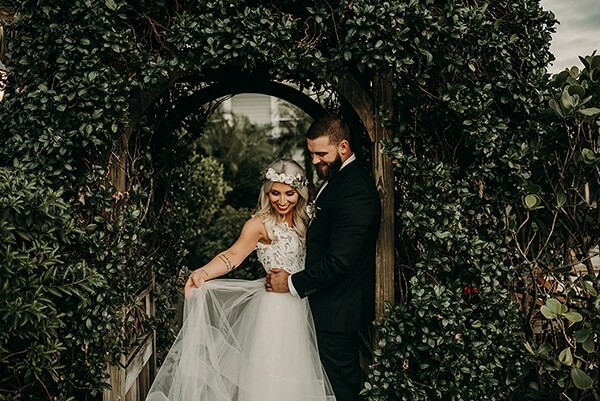 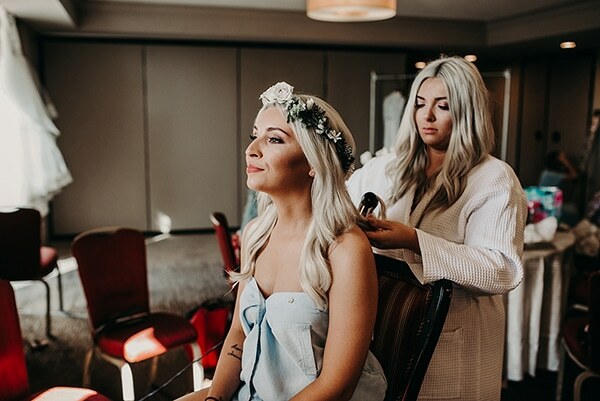 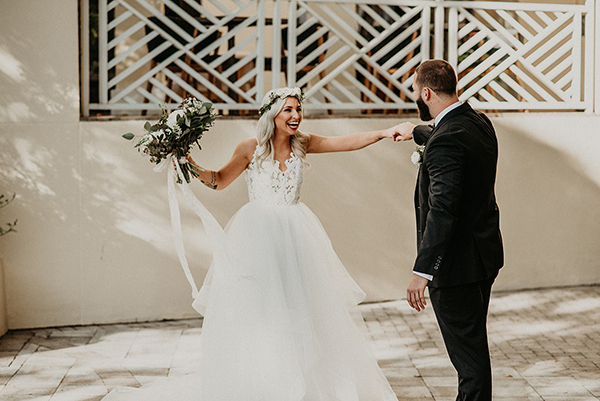 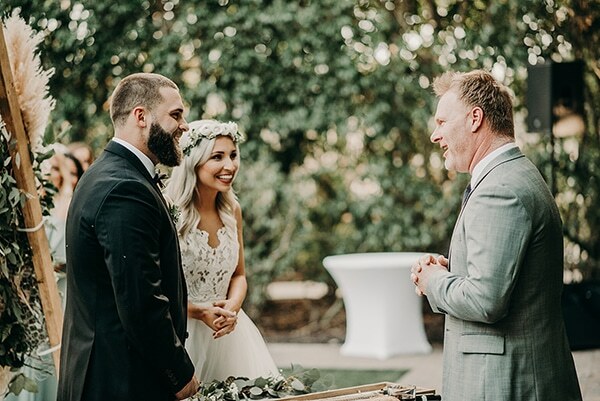 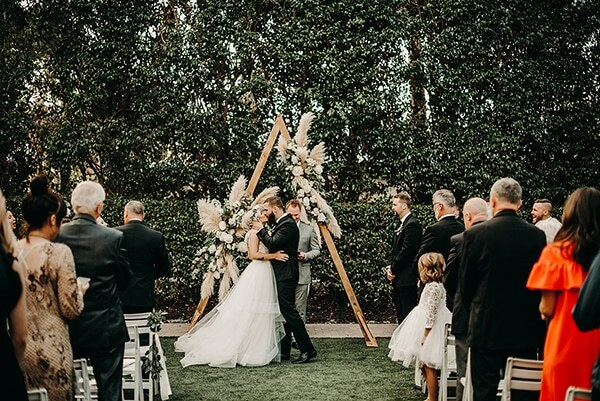 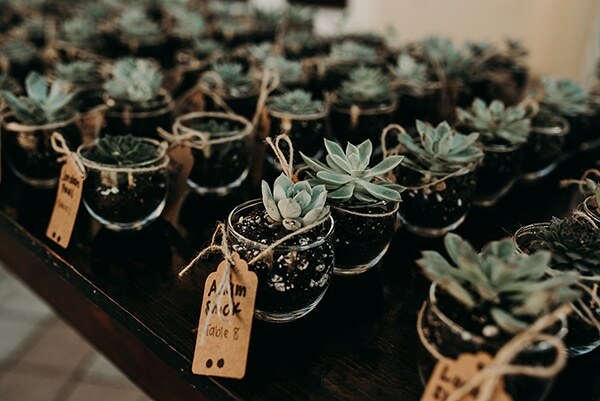 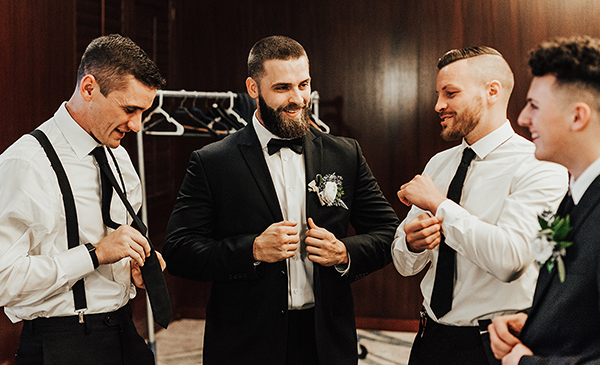 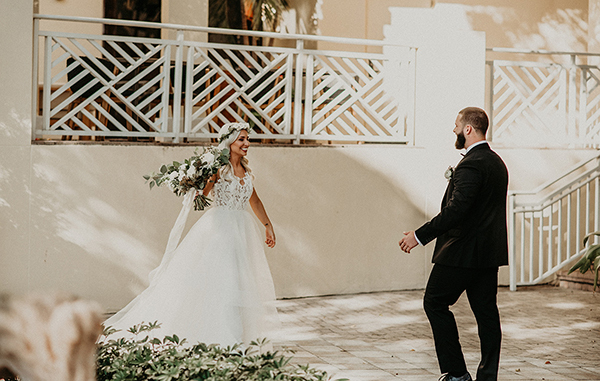 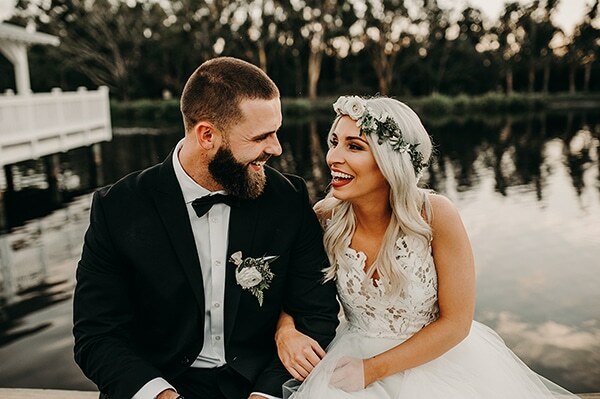 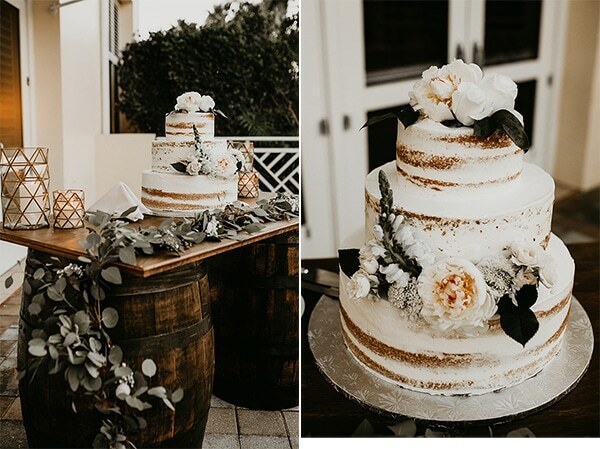 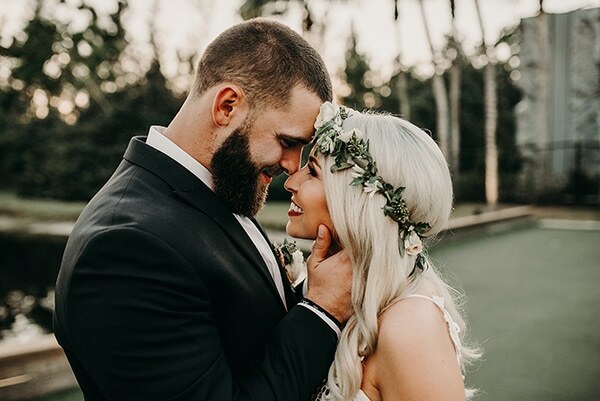 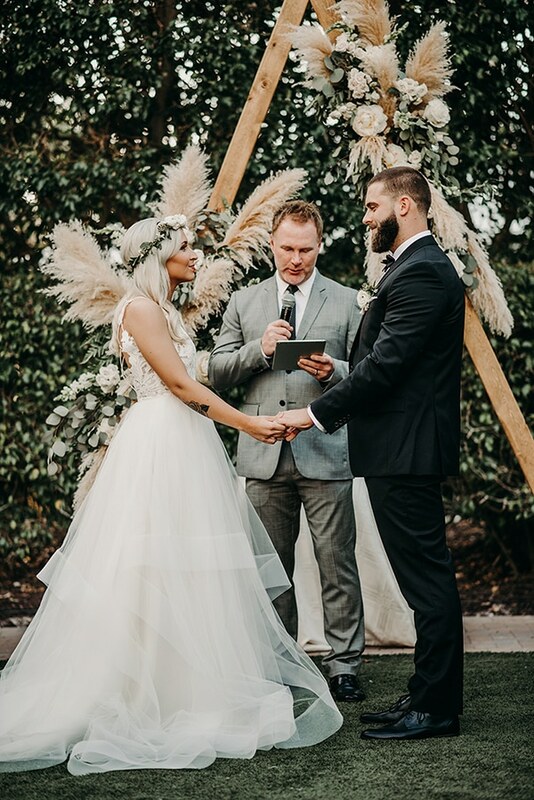 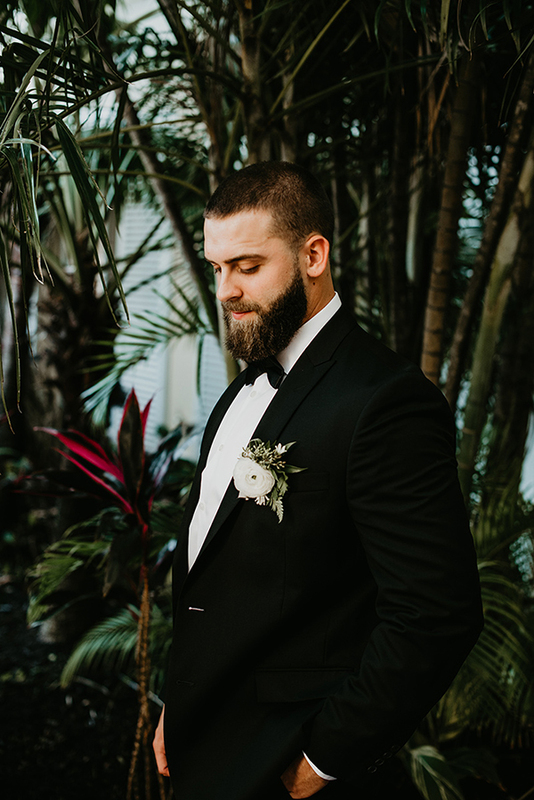 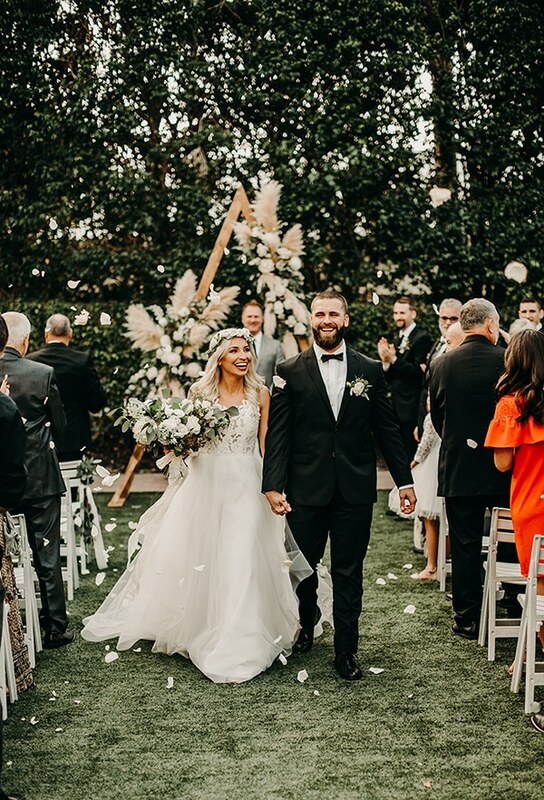 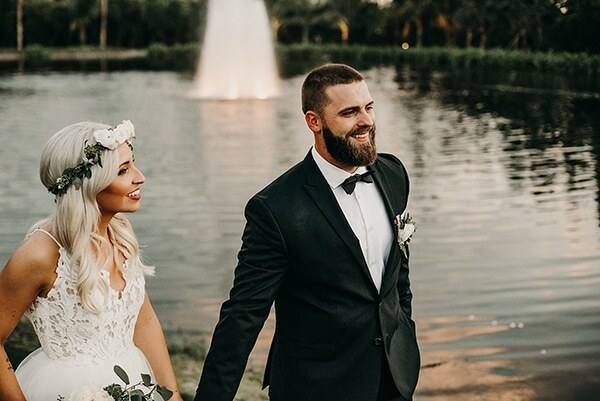 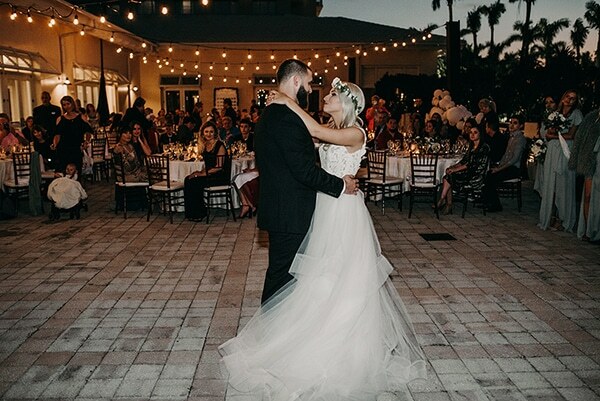 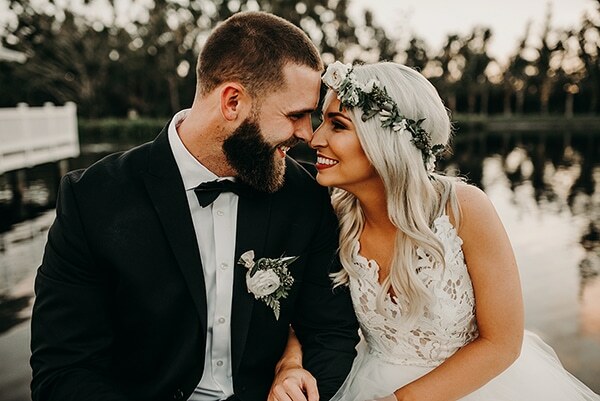 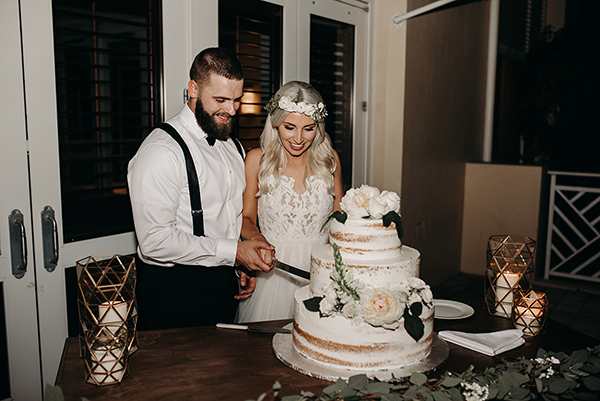 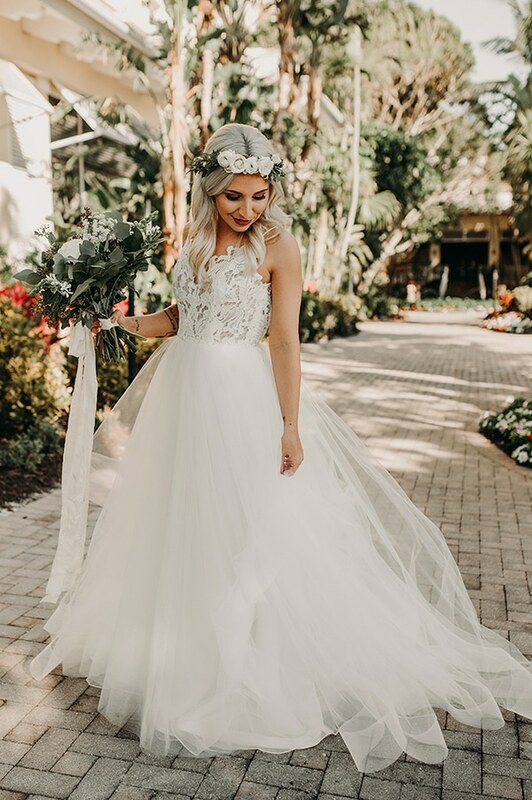 “Our wedding style was trendy and boho, tying in timeless whites and ivories and muted greens with a touch of gold from the geometric candle holders”.